Today is my last day as a full-time employee and the Director of Communications & Social Media at Jolkona. This is a hard post to write because, while this departure was my choice and I’m very excited for what’s next, it’s hard to say goodbye to an organization I worked so hard to build. When I started at Jolkona, it was as a volunteer to run their social media. I remember my interview with Adnan Mahmud, their co-founder of Jolkona. It was probably one of the most rigorous interviews I had ever been on – and it was for an unpaid position. It was a challenge because I was selling him on my social media skills that had only been tested on my personal brand, but not on a business or a nonprofit. But I knew what I was doing. And I told him that I would figure it out and deliver. I got the position (obviously), and my first assignment was to write the social media strategy for the organization for the entire year and present it at the leadership retreat that following weekend with all of the directors of the organization. I won’t go into the nitty-gritty details, but that weekend as I sat around a boardroom with the other volunteer-directors of the organization – still not knowing what I was getting myself into – I knew I was sitting in a room with some of the most ambitious and passionate people than I’ve ever had the chance to work with before. Throughout that year I learned, first hand, how to build a community online, launch a fundraising campaign solely by promoting it through social media, manage a communications and marketing team, land my first speaking engagement, and make a name for myself in the nonprofit scene. And I was ‘just’ a volunteer. 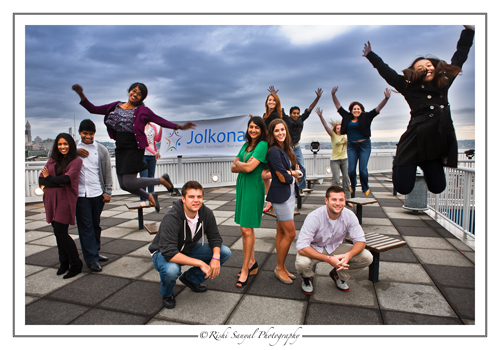 I volunteered with Jolkona to help me build the experience to land me my next job; I just had no idea that at the beginning of 2011, Jolkona would be the position that I was looking for. The part that I have enjoyed the most about my role with Jolkona was the process of building their strategy, brand, and community online to the point where they are today. When I started, Jolkona had 805 Fans on Facebook and 1,028 followers on Twitter. Today, they have increased their fans by 90% with over 1,500 Likers on Facebook and have over 3,000 followers on Twitter (+195%). Not bad numbers for an organic following. And as of today, Jolkona has published 200 blog posts, and 15 newsletters – not bad for a scrappy nonprofit startup with extremely limited resources. The best part about my role at Jolkona was creating campaigns and partnering with some incredible businesses like Waggener Edstrom, CRAVE, thinkspace, and Bill the Butcher. I got to plan the branding, creative, launch strategy, and marketing elements of each campaign – oh, and launch each one. It’s an awesome feeling to work really hard and really long on a campaign and watch how people respond in real-time via social media. Not to mention donations. Give to Girls: Invest in the Women of Tomorrow by Giving to Girls Today – Which launched on the 100th anniversary of International Women’s Day and was sponsored by CRAVE. This campaign had a modest matching fund to help launch it and after one-day raised $6,000 for projects supporting women and girls through Jolkona and is the highest single-day of fundraising to date. 12 Days of Giving – Last year’s holiday campaign where 12 different campaigns launched by 12 different members of the Jolkona team were ‘unwrapped’ over 12 days in December. This campaign was 100% my idea and one of my favorite efforts, not because I learned first-hand how hard it is to fundraise, but because I designed, built, and rallied the team throughout this campaign and watched when people not-related to any of the 12 Days campaign owners left messages on Jolkona’s Facebook page and tweeted at Jolkona that they were so inspired by the campaign that they decided to donate. That’s why. Jolkona’s Groupon Campaign – At SXSW 2011 I met with Groupon’s G-Team and learned about how they’re leveraging their platform for good. In July we launched a campaign with G-Team and over the course of 3-days, we ignited our following and raised $5,380 in about $10-increments (total includes the contribution from our matching sponsor). Oh, and it landed Jolkona in the ‘cool’ book and this awesome blog post written by Debra Askanse: Groupon Case Study: Jolkona’s Groupon Experiment. Eat Local, Give Global – This last campaign that I designed with Bill the Butcher and launched only yesterday. This campaign came out of something that I love doing, networking, and I’m excited to see how well it does from now through the end of the year! Over the past two years I have learned a lot about myself and grown by leaps and bounds as a marketing communications professional. Beyond the work itself, the part I enjoyed the most was the people. I am thankful to Jolkona’s co-founders, Nadia Khawaja Mahmud and Adnan Mahmud, for their trust and the opportunity to develop Jolkona into one of the most socially-media savvy nonprofits in Seattle. They set the strategic goals for the organization, and gave me the opportunity to figure out how to get there. Along the way I grew by leaps and bounds as a communications professional and as an individual. I got to develop and launch creative, marketing and fundraising campaigns; work with some amazing corporate partners; and talk to people, all day, through social media. For that I am forever thankful. 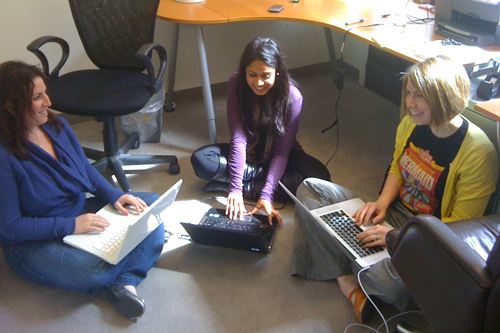 One of the thing I enjoyed the most is the team at Jolkona – the young 20- and 30-somethings who spend their free time working to build Jolkona and lending their skills are just amazing. And our interns, the sugar-crazed awesome interns who have taught me a lot about being a manager – I’m definitely going to miss them. It’s been an incredible two years at Jolkona and I’m thankful for the opportunity to work hard and prove myself while building their brand. And I have been given the opportunity to join another startup and build again. I’ll go into more details about my new role with my new company on Monday, but for now I want to sit and reflect on the end of my era with Jolkona. You never stop writing the book of your life; you just start a new chapter. 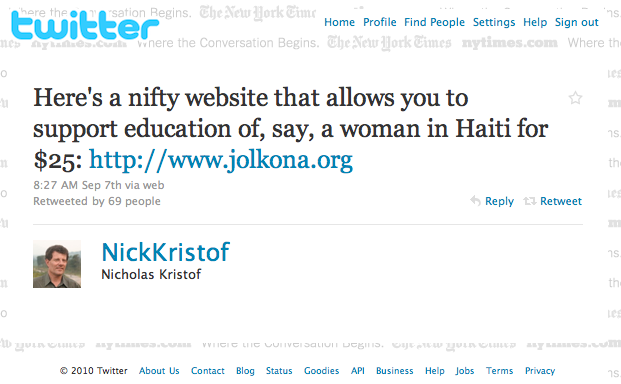 This entry was posted on Friday, November 11th, 2011 at 2:19 pm and is filed under nonprofit, professional. You can follow any responses to this entry through the RSS 2.0 feed. You can leave a response, or trackback from your own site.